Most of us like the tropical atmosphere... heat, beach... 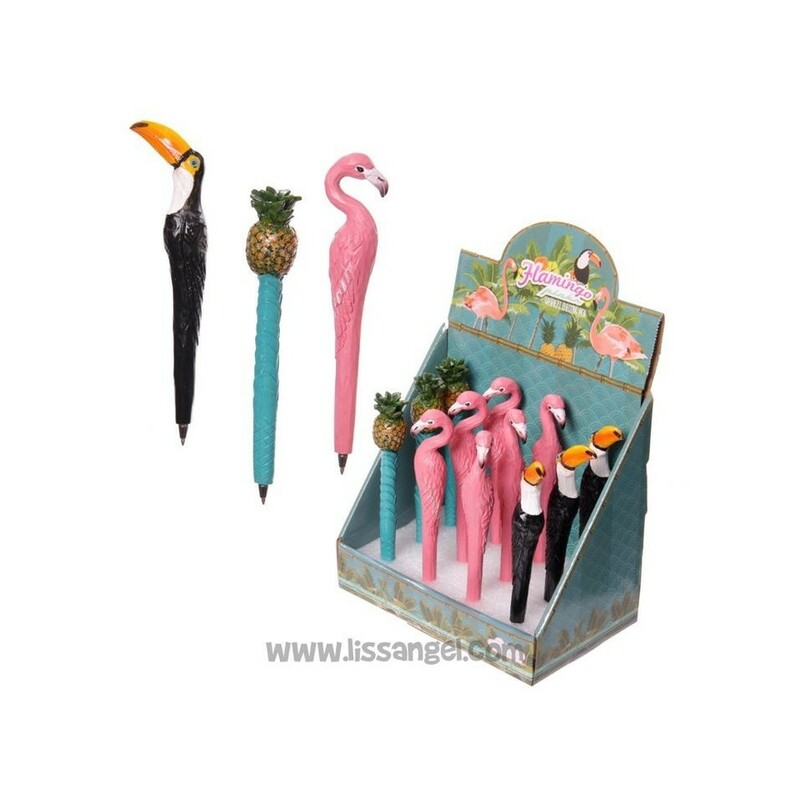 But if you can not go on vacation, you can have a detail with these original resin pens inspired by tropical atmosphere. Three models, in the form of flamingo, toucan or pineapple. Imagine yourself, lying on the beach with the warmth, in the shadow of a palm tree, eating a piece of delicious pineapple. You hear a nice toucan croaking at the top of the palm tree while you spot a beautiful flamingo in the distance... 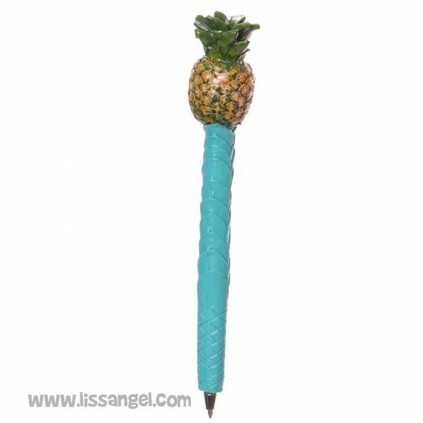 These original pens of tropical atmosphere lend themselves to the imagination! Pens made of resin, high quality and very detailed. All three write blue ink and are very comfortable and soft to use. 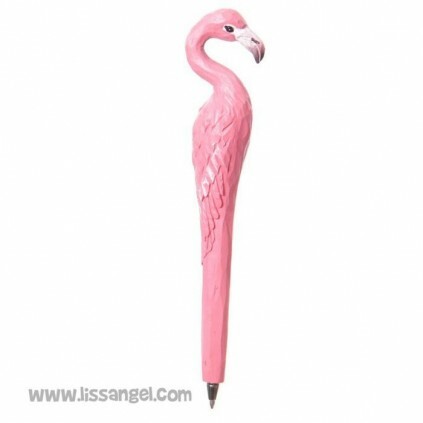 - Pink flamingo, very detailed and beautiful. 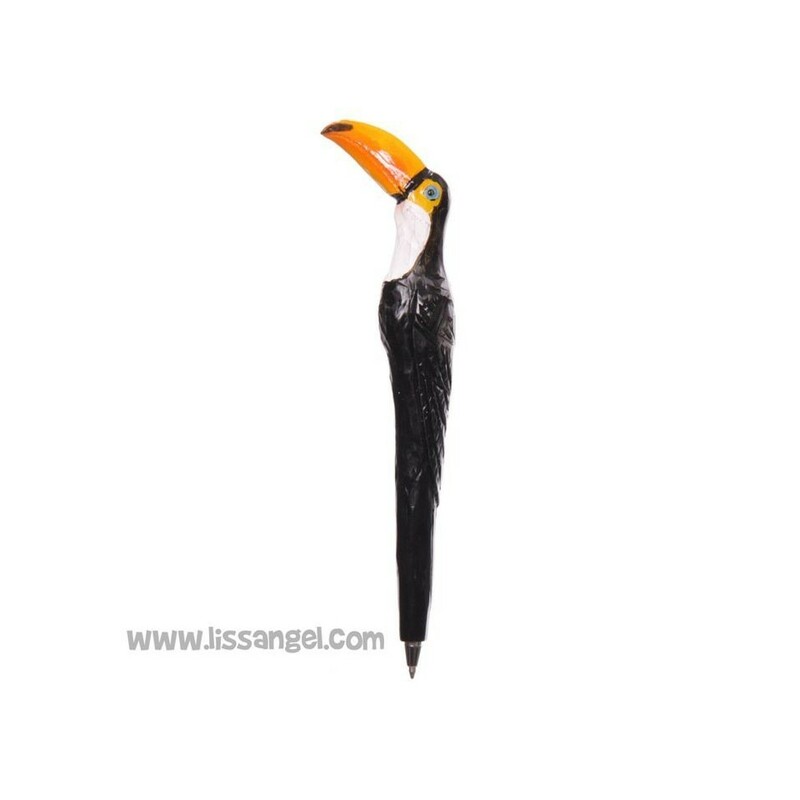 - Toucan. With its huge beak of colors. - A pineapple! Very realistic image, it looks almost real. 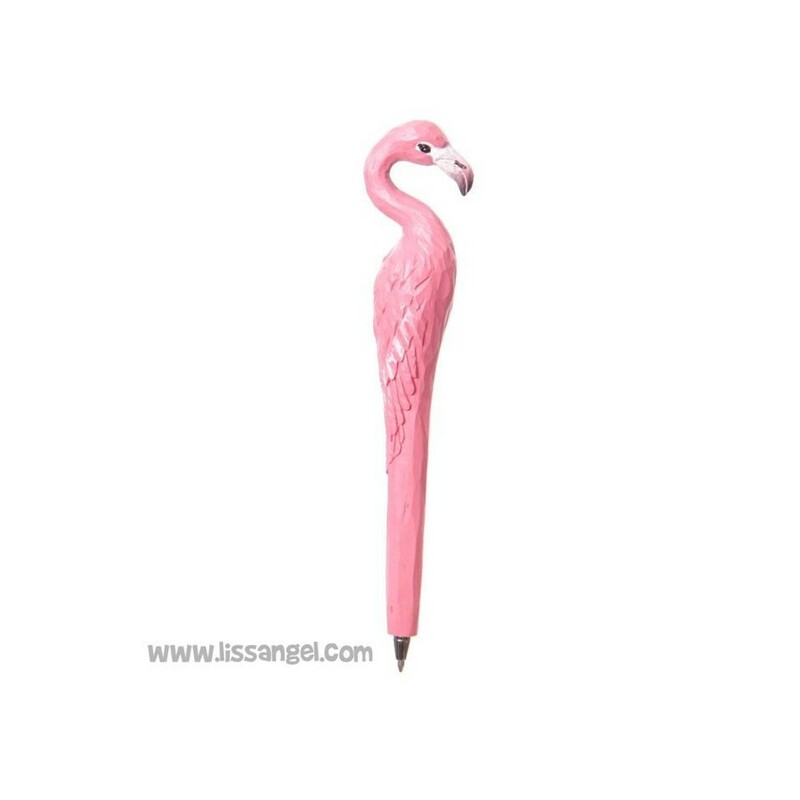 If you are a fan of flamingos, you will love this original ballpoint pen shaped like a flamingo. A very nice design, a very soft writing and a beautiful color. These pens never go out of style! 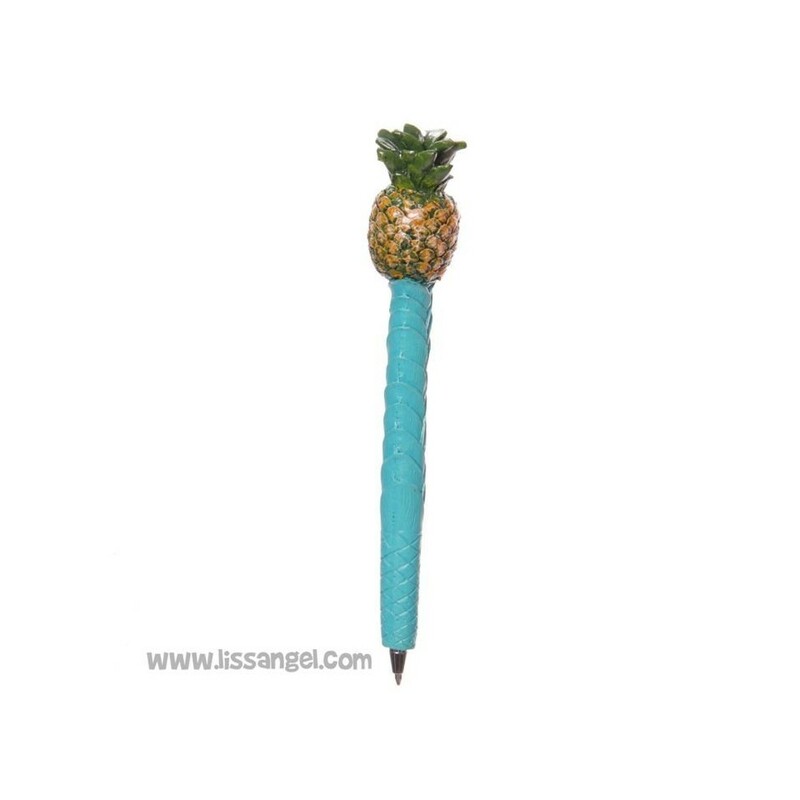 Have all colors in one pen with this six-color ballpoint pen with a beautiful design of birds and flowers. Black, blue, green, yellow, red and violet... Amazing! After the success of our brown WhatsApp poo emoji pen arrives... This original multicolored smiling poop pen. It is impossible not to make your day with her! Choose between two models. 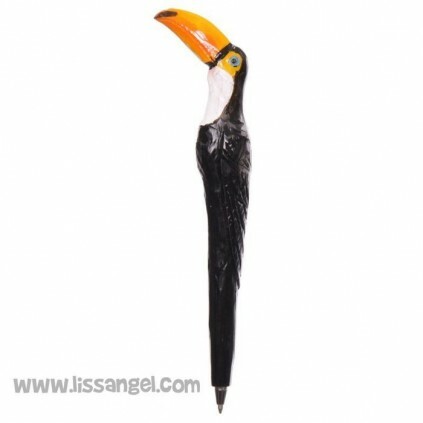 Another model of our original pens shaped like animals. Nice wolf pen shaped, that will make your writing moments more fun. Unicorns and rainbows... What a nice combination! This pen made of resin in the shape of a unicorn is beautiful. In addition, you can change the ink when it run out. We tell you more in the full description below.